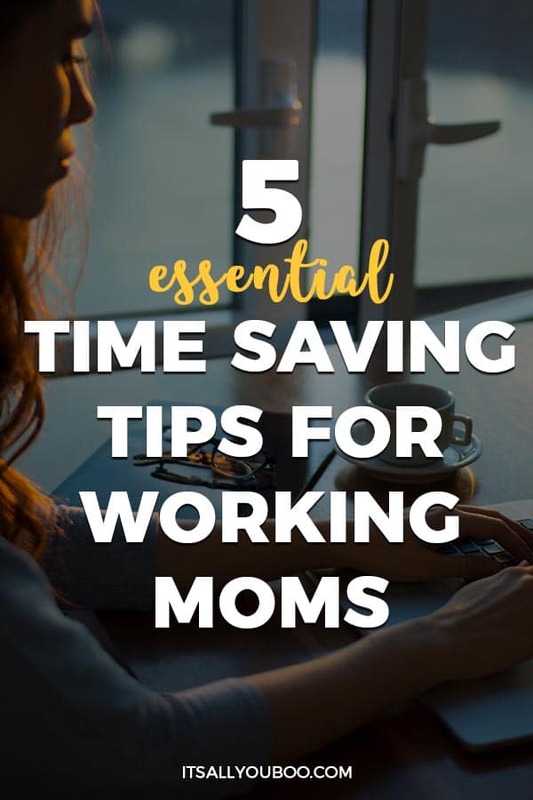 What are the best time saving tips for working moms? How do busy moms deal with mom guilt and keep their sanity? Whoever said we have the same amount of hours in a day as Beyonce was seriously mistaken because I am convinced she somehow conjured up extra hours in her day. There just never seems to be enough time to get everything done that we need to do and when you are a busy, working mama this is especially true. How on earth are you supposed to work, raise a family….and do the dishes, the laundry, the grocery shopping, the errands, the pickups, the drop-offs, the volunteering, the after-school activities, the homework, the playdates, the doctor appointments…and keep your sanity?! It’s a miracle that you’re not falling apart trying to do it all, but maybe you are. The to-do list never seems to end! But here’s the thing, you actually do have the same amount of hours in your day as Beyonce. 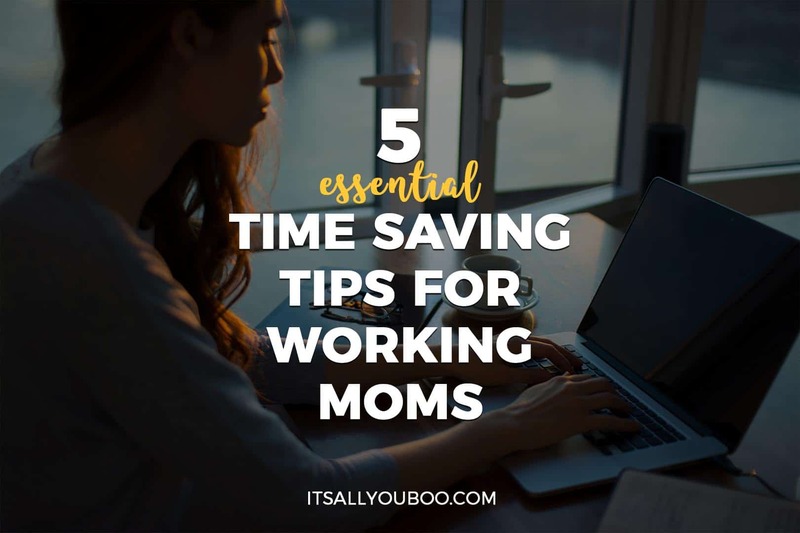 The only difference is Beyonce has learned how to make the most effective use of her time to be successful and if you keep reading, I am going to help you do the same with these five easy, yet effective time saving tips for working moms! The most common concern I hear from clients is that they don’t feel they can adequately balance home-life responsibilities with their demanding work schedule. I often hear concerns around not having enough time to do the things they need to do, let alone the things they want to do. The truth of the matter is, this is a common concern for pretty much everyone, parent or not. The most important time saving tip for working moms is to start switching your mindset from “I have to do it all” to “I am going to do what I can.” The major difference here is that telling yourself you have to do it all is only going to set you up for failure, and I mean that in the nicest way possible. Why? Because you simply can’t do it all. You are one person, you are a human being and you are not expected to do everything. Instead, focus on what you absolutely need to get done and the rest will work itself out. It always does, right? Now, if you would describe yourself as someone who is “type-a”, anxious, or controlling, the idea of leaving things on your to-do list may feel incredibly unsettling. If that’s the case, mindset shifts are going to be your new best friend and will be incredibly helpful. At first, this will seem awful, but in time, it’ll help you begin to relax, release some of the control you’ve been holding onto, and most of all ease some of the stress you’ve been holding onto. Your first time-saving tip for working moms is to change your perspective of time and what you can do! Now, I just mentioned focusing on what needs to get done which means prioritizing is key. I know, I know, everything on your to-do list is important so narrowing it down is difficult, but the reality is some things can actually wait. For example, if you have to choose between cooking dinner and then doing the dishes vs. having take-out, opt for take-out. Maybe even make one night a week a “take-out night” and try to pick the busiest night of the week for this, that way you are not running around doing everything in addition to having to cook and clean. Or, if you have to bring in baked goods for a bake sale or classroom birthday party, buy something from a bakery vs. actually baking. Again, this will save you time and stress and will make your life so much easier! Another helpful time-saving tip for working moms is to take time every week to establish your priorities. Sundays, for example, are the perfect time to look at your week ahead and make a list of everything you feel like you need to get done. Then, circle your top ten obligations (if applicable). Next, circle your top five obligations from those 10. Lastly, circle your top three from those top five. Voila! Those are now your top three priorities for the week. If you get extra stuff on your list done too, well then that’s just a nice little bonus! Prioritizing is not only going to help you balance your work and home-life demands much more effectively, but will also help reduce the stress of trying to do it all. Your second time-saving tips for working moms is to know your priorities, and actually prioritize your time getting them done first. Outsourcing is huge when it comes to saving time and this doesn’t always have to be monetary either. Sure, would hiring a house cleaner or landscaper be helpful? Absolutely! But not everyone can afford those services. If you are someone who is in a position financially to hire some additional support, look into it. Ask people you know for recommendations and shop around for the best prices which meet your needs. People tend to shy away from these options as they feel they’ll be judged or looked at differently for hiring support. There is no shame in hiring someone to help you out because again, you can’t do it all and having extra support will make a world of difference for your mental health. If you are someone who is not in a position financially to hire additional support, you can still outsource different tasks. For example, if your work schedule makes it challenging for you to get your kids to and from their after-school activities, ask a fellow parent for assistance. Oftentimes parents are more than happy to help one another out and there is no harm in asking. You can also offer to help them out if needed with their child’s transportation in the future, that way it’s a team approach which serves both parties! Another great way to outsource is to ask for help within your inner circle! We all have friends and family who say, “Let us know if we can do anything to help!”, especially when we are venting to them about how busy we are. So, take them up on their offer! If you need help with errands or watching the kids, ask a friend for help! Also, there is a lot of really great grocery shopping supports available now that won’t break the bank! Some grocery stores offer online grocery shopping where you buy everything online, submit your order, and have them delivered to your door or ready for pick up at the store. There are also meal services like Hello Fresh, which deliver meals each week with easy, step-by-step instructions along with all of the ingredients already measured and ready to go! These services sometimes have discount codes or free trials for new customers, so check it out! Bottom line is, don’t be afraid to ask for help! We aren’t meant to do it all alone and utilizing extra supports will make a world of difference in your ability to better manage time and stress. There is no shame in admitting you need some support, so go ahead and start thinking about ways you can outsource in your life. Your third time-saving tips for working moms is to get support, ask for help and outsource what you can. Cooking a few meals at a time one day vs. one meal each individual night is going to save you so much time. Picking out outfits for the kids ahead of time for the week is not only going to save you time but will also save you a big headache first thing in the morning when everyone is half asleep and moving in reverse. Packing lunches and backpacks the night before is going to be a lifesaver when you are scrambling to get out the door in the morning. Picking out your clothes and packing your work bag is also going to help you during the week as well. You can even make these tasks interactive and fun with the kids. So, when you are picking out outfits ahead of time, get them excited about it by having a fashion show or playing dress up! When you are making lunches ahead of time, have the kids help! Kids love to help and when they are given tasks they can easily manage, it gives them a sense of pride and accomplishment! Not only that, busy working moms tend to feel like they never get enough time with their kids, so doing these types of activities not only help you make the most use of your time but also allow for you to spend more time with your kids! Win-win! Your fourth time-saving tip for working moms is to plan ahead, with your kids. It also doesn’t hurt to create a daily or weekly plan too! One of the biggest reasons busy working moms tend to feel so stressed and pressed for time is because they seem to say “yes” to everything. Every birthday party, every social engagement and every request from their kids. Everything. 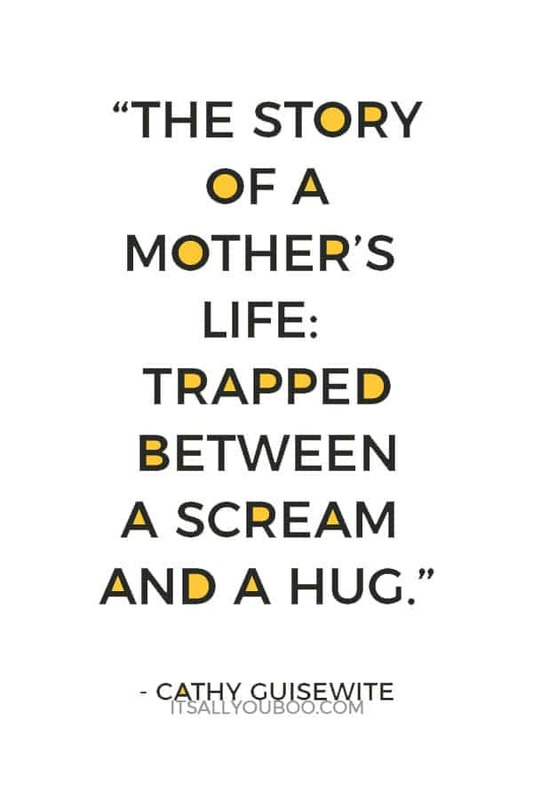 So, stop saying “yes” and start saying “NO!” People tend to feel bad about saying “no” to things, especially moms! Moms who work tend to experience a special kind of guilt for being a working mom. They feel bad about not being able to spend as much time with their kids as they would like to. That mom guilt, coupled with the guilt from friends and family who will likely throw out phrases such as, “You’re so busy!” or “We never see you anymore!” equals a recipe for stress and burnout. Just because someone invites you to something does not mean you have to attend. Just because your kid asks you to do something doesn’t mean you have to do it. Start setting boundaries and practice saying “no” to things which really don’t serve you or interest you. You’re allowed to prioritize your needs and wants first. So, if on your day off you would rather do something else, go for it. What is often not realized is that saying “yes” to everything is really just saying “no” to yourself and even though the things you are saying “yes” may be fun or lowkey, they are still taking up YOUR time. If you are a busy, working mom just remember that you are not alone. The stress you feel is normal. The moments where you just want to break down and cry because you feel like you can’t do it all are OK. The feelings you have about never having enough time are completely valid. Ready to put these time-saving tips for working moms into practice? 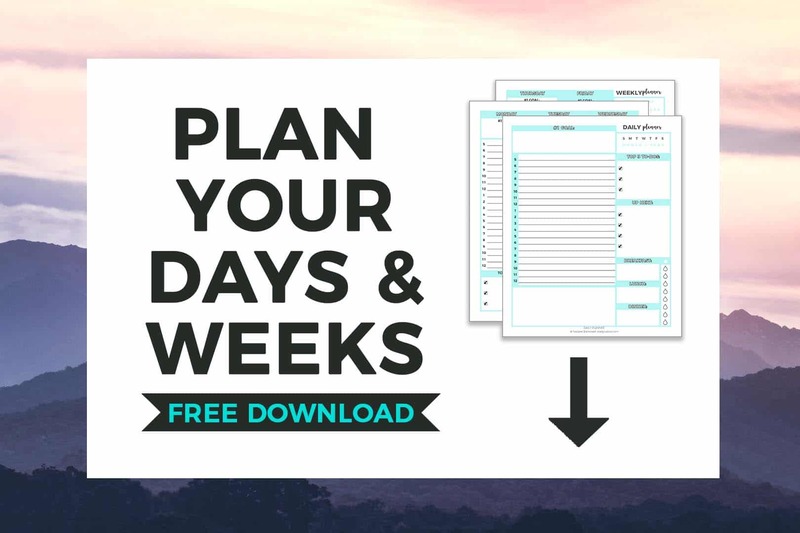 Get your FREE Printable Daily and Weekly Planners and start prioritizing your time and planning ahead. If you are a working mama, you are a BADASS, but you are also a human being. Making these small, yet effective adjustments will yield BIG results and although change can seem daunting, it will make a world of difference for not only your sanity but your family’s overall happiness as well. So to all of my hard-working moms out there, YOU GOT THIS! What’s your best time-saving tip for working moms? Sarah Marandi-Steeves, LCSW, PLLC is a licensed clinical social worker who has a thriving private practice based in NY. Sarah’s practice specializes in working with children and their families as well as young adults. Sarah’s passion for the mental health field allows her to focus on helping children and their families lead happier, healthier lifestyles. 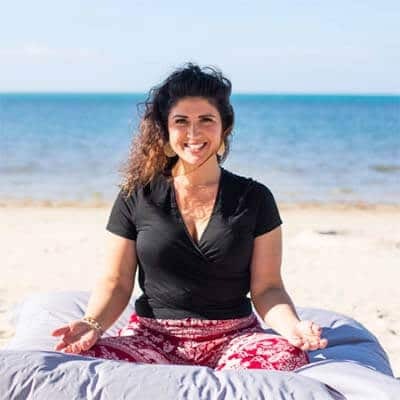 Sarah also offers 1:1 coaching to fellow mental health providers looking to begin, expand, or grow their private practices as well as offers an 8-week digital course for those looking to start their private practice business from the ground up. There is always something else to do. So, like you said, its best to do what we can do and leave the rest for some other time. I’d also recommend optimising your time. Otherwise, experiencing a burn out becomes inevitable. I’m so glad you enjoyed the post! Yes, optimizing time is definitely another great tip! Since I became a mom I realized how important it’s to organize me better but also on advance. We now have a family planner and it helps so much! A family planner is SUPER helpful! What a great tool you’ve implemented for you and your family! Thank you for your feedback and for reading! I totally agree in outsourcing and getting help, if you can. I get someone to clean my house twice a week and I love it. Thanks so much for that feedback! I agree! This was an investment I made as well and it has made a world of difference. I used to spend an entire day on the weekend cleaning my house and now I have so much time to do so many other things, whether it be personal or professional! Outsourcing, when applicable and manageable, is truly so wonderful! So glad you enjoyed the post! Great Post, with planners to help organize my life. Getting it all and starting today! Woohoo! Love it! 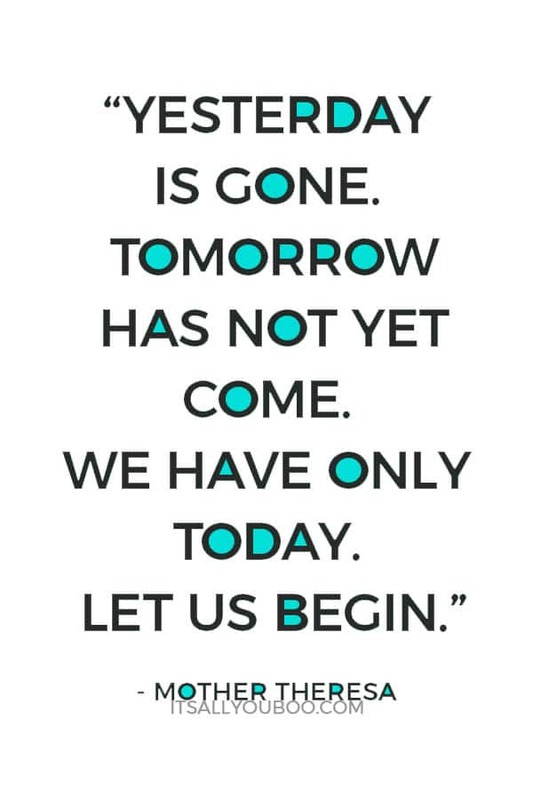 There is no time like the present to make a positive change! I am so glad you found the post to be helpful and I have no doubt implementing some of these changes as well as utilizing your planner are going to be so helpful for you! really appreciate this post! My favorite part is establishing priorities–everything will not (and cannot!) get done, and definitely not all at once. I think people need to continue to be encouraged to remember we’re only doing the best we can–you can only do so much! You nailed it! We really are doing the best we can, and that’s it! Our to-do lists will always have items on them, but we do what we can and the rest always ends up getting done one way or another! We must first remember to be gentle with ourselves and give ourselves credit where credit is due! Great tips for every woman busy out there messing up her life in the heaps of chores. I am so glad you found the information to be helpful! Life is hectic! But hectic doesn’t need to lead to burnout! I am so happy to hear you found the post to be so helpful! I also love that you’re going to try and implement some of these tips!! Try starting with one tip at a time, as this is going to really help you focus on implementing the change effectively! Once you feel like you’ve gotten one thing down, then go to the next! Sometimes when we try to tackle too much at once, it leaves us feeling overwhelmed and then we end up tackling none at all! You’re right, learning to set that boundary and say “no” is incredibly difficult. Sometimes it’s helpful to think before answering. So instead of immediately saying “yes” or “no” to something, say something to the effective of, “Let me think about it and get back to you!” That way you can really stop and think about whether or not you’ll be committing to something which truly serves you or not! I am so glad you enjoyed the post and I appreciate your feedback! I’m not a mom yet, but I think these tips can be useful as a single person as well. thank you for sharing! Thanks for your feedback! You’re absolutely right! These are great tips for anyone who as time management is key for all of us! Glad you enjoyed! 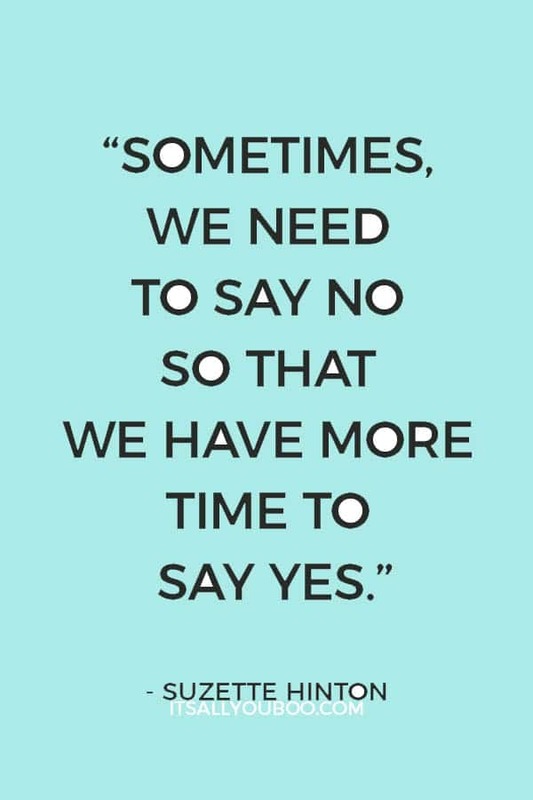 Great Post, It is very important for us busy moms to say no and learn how to prioritize our time. I’m so glad you enjoyed the post! You’re right, this is so important and really does have such a positive impact in so many ways!